The Alabama Gulf Coast Zoo - opened in June 1989 as Zooland Animal Park. The zoo was founded as a private enterprise by Joey Ward of Gulf Shores. In 1991, the Ward family created the Zoo Foundation, Inc., a non-profit corporation, and donated the 17 acres of prime real estate that makes up the zoo today. Three years later, the Ward family and the Erie Meyer Foundation graciously donated an additional 13 acres, which are still undeveloped. 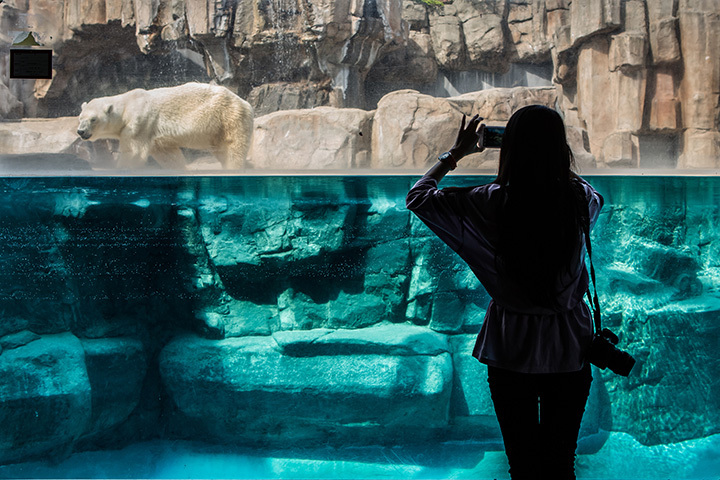 The zoo is tucked away just blocks from the beach and is home to more than 290 animals. Lions, tigers, bears, monkeys and macaws are just some of the creatures that inhabit this Gulf Coast oasis. There's also a petting zoo, reptile house, aviary and daily animal shows in the summer. The Alabama Gulf Coast Zoo relies solely on admissions, memberships and contributions to remain in business. The local community and businesses have been generous in donating money, building supplies and services in years past. Substantial on-going funding through sponsorships, grants, and endowments from major corporations did not exist before 1998. These additional sources of revenue are now being actively pursued to ensure the zoo's longevity.